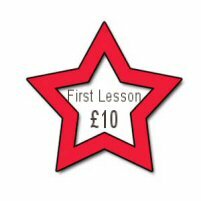 When about to embark on a course of driving lessons one of the first things people ask me is how much will it cost. Whilst the cost of lessons should be a factor in deciding who you employ as your driving instructor there are other factors you should also consider, such as how experienced is the instructor, is the instructor fully qualified, has he or she a good pass rate. With something as important as learning to drive should you really be looking for the cheapest. My prices are not the cheapest but they are nonetheless very reasonable. Each driving lesson is a full hour from when you get in the car, I dont do car sharing so you will not be wasting time picking up other pupils as part of your lesson. Help with Theory and Hazard Perception Tests provided free of charge. PRESTON, FULWOOD, PENWORTHAM AND LOSTOCK HALL. For Your Driving Lessons in Preston give me a call.